EBONY Magazine announces the host for its annual EBONY Power 100 Gala and this year’s special award recipients. Acclaimed actor and comedian Chris Tucker will steer the star-studded event. Following the recent unveiling of its prestigious annual EBONY Power 100 List in celebration those whose work and heroism continue to inspire and influence society, EBONY magazine has announced the host for this year’s highly anticipated EBONY Power 100 Gala, presented by Nationwide, taking place in Los Angeles at the Beverly Hilton on Nov. 30. EBONY is also pleased to announce the recipients of this year’s coveted special awards which will be presented during Hollywood’s star-studded spectacle. Helming the celebration of the 2018 EBONY Power 100 list honoring crusaders, innovators, disruptors, business titans, entrepreneurs and MVPs who are making a difference in the community at the EBONY Power 100 Gala is international award-winning actor Chris Tucker. Once a frequent stand-up performer on Def Comedy Jam in the 1990s, Tucker is best known today for playing Det. James Carter in the Rush Hour film series. Chris is currently returning to the stage on his stand-up comedy tour that has received rave reviews all over the world, while spending much of his spare time traveling and working with his foundation. EBONY Media Operations CEO Michael Gibson will present the inaugural Chairman’s Award to former BET Chairman and CEO Debra Lee. The trailblazing business dynamo joined BET as executive vice president and general counsel in 1986, was promoted to president and COO of the network that reaches approximately 78 million homes in March 1996 and to chairman and CEO in 2005. She guided much of the 38-year-old network’s growth beyond music and into entertainment, news and public affairs programming, including original movies, late-night talk shows and concert specials, with successes such as bringing to cable The Game in 2014 and the miniseries. The New Edition Story in 2017, the launch of BET.com and the acquisition of the television rights to Black Girls Rock! This year’s prestigious EBONY Icon Award will be presented to Motown Records. There simply isn’t a name in music more synonymous with era-defining hits, star-making, and innovation than Motown. Started in Detroit with a dream and an $800 loan, Berry Gordy’s Hitsville USA became a cultural behemoth that swiftly hooked pop culture with a brand new beat. The unmistakable, irrepressible sound of young America didn’t just dominate the charts–it crossed the racial divide during the social upheaval of the 1960’s. The hits and cultural influence doesn’t stop as Motown and its family of imprints explore new genres in partnerships with labels including Quality Control Music, which set the stage for signings of Migos and Lil Yachty. In recognition of the brand’s iconic relevance and impact, EBONY is pleased to honor Motowns decades of success. The award will be accepted by Motown President, and EVP of Capitol Music Group. Ethiopia Habtemariam, who is also honored in the Women Up category for her outstanding leadership in the music industry. Habtemariam, whose former title, President of Urban Music & Co-Head of Creative for Universal Music Publishing, is responsible for revitalizing the storied label that boasts hit makers NE-YO and Erykah Badu. Habtemariam has ushered in a new generation of artists with acts like JAMESDAVIS, Lil Baby, City Girls, and BJ The Chicago Kid. Last summer, Billboard magazine recognized her as Universal Music Group’s Most Powerful African-American Woman. The 2018 EBONY Power 100 List recognizes the most influential and inspiring from the business, philanthropic, entertainment, and social activism communities in the following eight categories: Community Crusaders, Disruptors, Entertainment & Arts, Entrepreneurs, Innovators, MVPs, Power Players and the coveted Women Up. Former President and First Lady Barack and Michelle Obama lead the Entertainment & Arts category, with a focus on Mrs. Obama’s book tour for her new memoir, Becoming. Barry Jenkins, director of the Academy Award-wining Moonlight and the upcoming If Beale Street Could Talk, is also being honored in the category for his achievements in the film industry, as Tony Award-winning actor Billy Porter is for his role in the television series Pose. 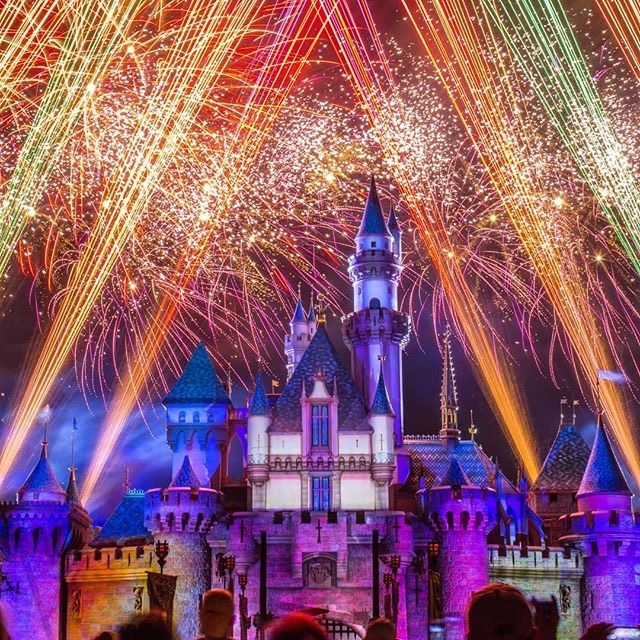 Other notables being honored in the Entertainment & Arts category include the cast of Black Panther, and rappers Cardi B, Drake and Travis Scott. Athletes being honored in the MVPs category include Houston Rockets guard James Harden, Golden State Warriors guard Stephen Curry and professional WWE wrestler and superstar Thaddeus Bullard, aka Titus O’Neil. The 2018 EBONY Power 100 List includes politicians and lawmakers who made the news over the past year, such as Stacey Abrams, the first Black Georgia Democratic gubernatorial nominee (recognized in the Disruptors category); Andrew Gillum, the mayor of Tallahassee, Florida, and the first Black candidate for governor of the Sunshine State (another Disruptors honoree); Keisha Lance Bottoms, the second Black female mayor of Atlanta (recognized in the Women Up category); and London Breed, the first Black female LGBT mayor of San Francisco (also honored in the Women Up category). Other honorees run the gamut of industry, community activism and more. Civil rights activist Tarana Burke the Bronx, New York native who achieved global acclaim after starting the MeToo movement will be recognized in the Community Crusaders category. Group President and Chief Operating Officer Rosalind Brewer will be honored in the Women Up category as the first African-American woman to the hold that position as at Starbucks. March of Dimes President Stacey D. Stewart will be recognized in the Disruptors category as the first African-American female president to lead the charitable organization. Junior Flip Kids, honored in the Entrepreneurs category, is a company made up of six schoolchildren aged 7 to 13 years old who met with Oprah Winfrey before starting their business to transform distressed properties into renovated single-family homes in Washington D.C., and Maryland. Cheryl “Action” Jackson will be recognized in the Community Crusaders category as the founder of Minnie’s Pantry, an organization that has provided over 8 million meals to families in need. Honorees are celebrated each year at the EBONY Power 100 Gala, presented by Nationwide. 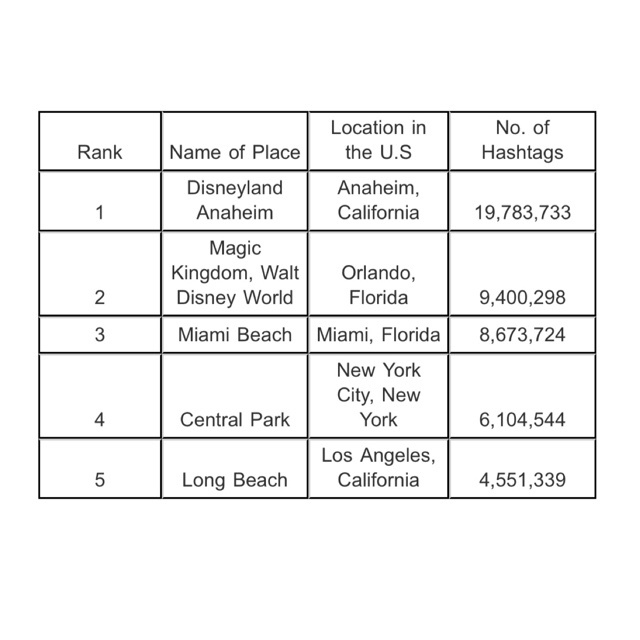 The event will take place this year in Los Angeles at the Beverly Hilton on November. During the gala, the prestigious EBONY Power 100 special award recipients will be recognized for their contributions to business and industry. The 2018 EBONY Power 100 Gala is hosted by EBONY Foundation and benefits Sickle Cell Disease Association of America. Learn more about sickle cell disease and to donate by texting “EBONY” to 91011 and using #SCDHOPEWINS. 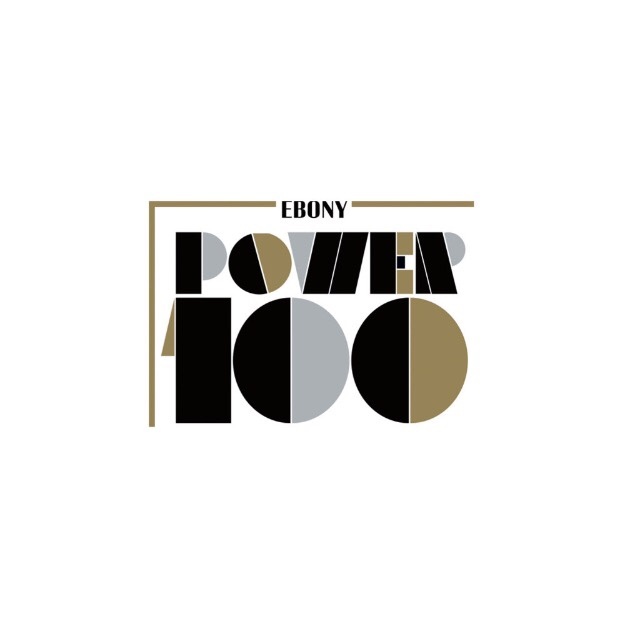 Follow #EBONYPower100 on Instagram, Twitter, and Facebook. The complete EBONY Power 100 List for this year can be viewed here! This entry was posted in Uncategorized and tagged 360 Magazine, activists, Actor, African American, award, Barack, Barry Jenkins, Berry Gordy, BET, Beverly Hilton, Billy Porter, BJ the Chicago Kid, black panther, Capitol Music Group, cardi b, category, celebration, CEO, Cheryl "Action" Jackson, Chris Tucker, Debra Lee, Def Comedy Jam, Drake, Ebony magazine, Ehtiopoa Habtemariam, erykah badu, event, Facebook, families, Foundation, goal, golden state warriors, hashtag, Houston Rockets, industry, influence, INSTAGRAM, james harden, JAMESDAVIS, lawmakers, Lil Baby, Lil Yachty, link, list, Los Angeles, March of Dimes, men, Michael Gibson, Michelle, migos, Minnie's Pantry, Motown records, music, nationwide, Ne-Yo, New York, November, Obama, organization, pop culture, Power 100 Gala, Rosalind Brewer, Rush Hour, show, society, Stacey D. Stewart, Stephen curry, Tarana Burke, Television, Tenzin Tsephel, Thaddeus Bullard, the game, Travis Scott, Twitter, Universal Musi Publishing, Vaughn Lowery, Washington D.C., women, Women Up, WWE, City Girls on November 16, 2018 by wp360mag. 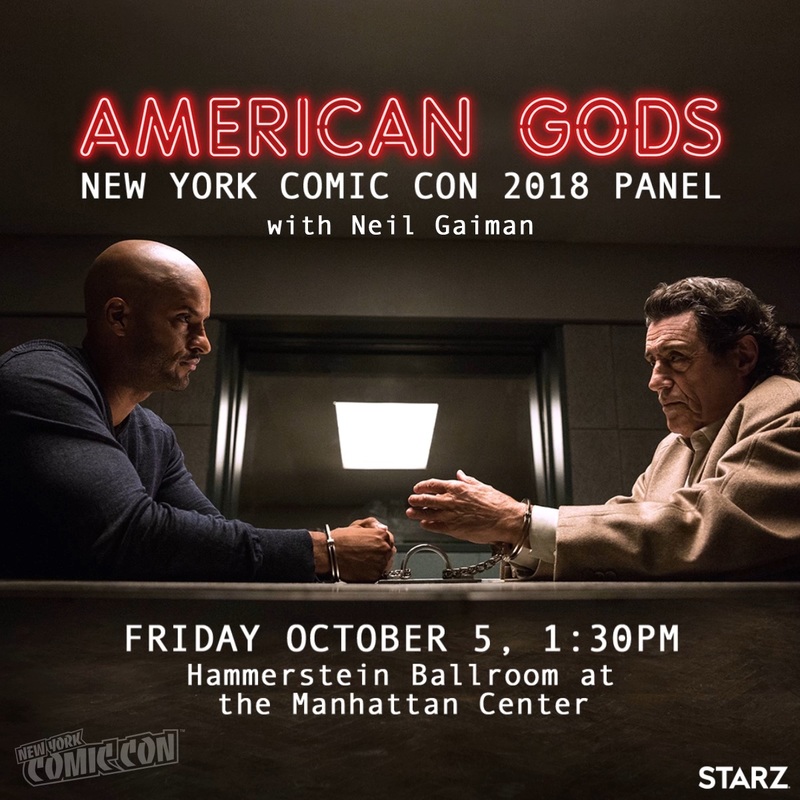 Join your favorite American Gods cast members and Executive Producer Neil Gaiman for an exclusive first sneak peek as the battle continues between New Gods and Old in season two of the hit STARZ Original Series at their first ever official New York Comic Con panel. Mark your calendars as this will take place Friday the 5th of October from 1:30-2:30 PM at the Hammerstein Ballroom in the Manhattan Center. American Gods is a one-hour drama adapted from Gaiman’s novel of the same name. Following the epic showdown at Easter’s party, season two ups the ante with Mr. Wednesday continuing his quest to pitch the case for war to the Old Gods with Shadow, Laura and Mad Sweeney in tow. When things don’t go as planned at the House on the Rock, they all find themselves on a haunting journey through middle America. This entry was posted in Uncategorized and tagged 360, 360 Magazine, American gods, cast, Friday, Gods, Hammerstein Ballroom, hashtag, Laura, Mad Sweeney, Manhattan Center, Neil Gaiman, new, October, old, season, shadow, show, STARZ, Tenzin Tsephel, tv, Twitter, Vaughn Lowery, watch on August 22, 2018 by wp360mag. Wine lovers everywhere, it’s that time of the year to update your wine destination list! Wine Spectator has released the winners of the 2018 RestaurantAwards, which honors the world’s best restaurants for wine. This year, the Restaurant Awards program honors 3,759 dining destinations from all 50 states in the U.S. and more than 75 countries internationally. The Restaurant Awards began in 1981, and there are three levels: the Award of Excellence, the Best of Award of Excellence and the Grand Award, with 2,453; 1,215; and 91 winners this year in each respective category. Seven of the Grand Award winners—Ai Fiori in New York City, Barolo Grill in Denver, Le Coureur Des Bois in Beloeil, Quebec, Canada, Madera in Menlo Park, California, Metropolitan Grill in Seattle, Restaurant Mosaic in Pretoria, South Africa and Sistina in New York City—are first timers. All winners are profiled at Restaurants.WineSpectator.com and in the Restaurant Awards app. The app, available free on the App store, allows iPhone and iPad users to easily find nearby award-winning restaurants, with maps, plus helpful information about cuisine, wine and pricing. 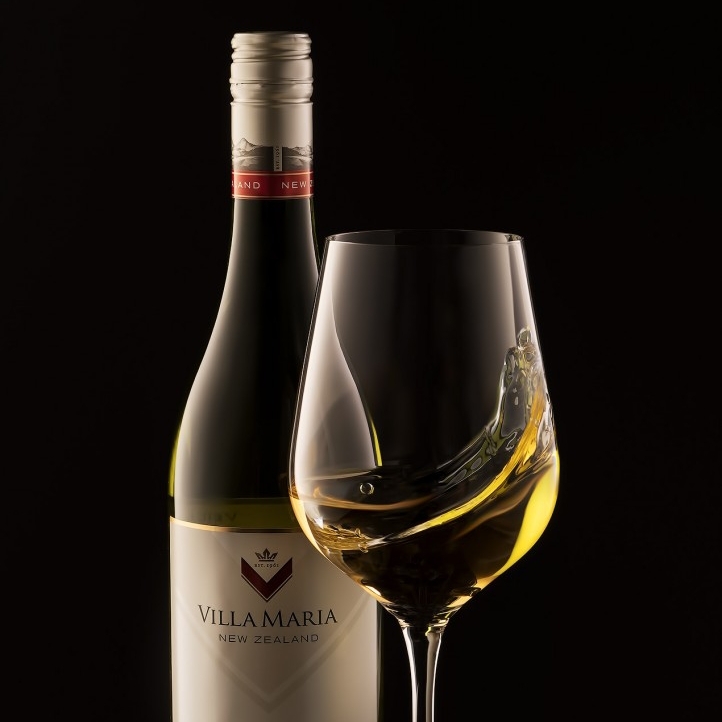 The Award of Excellence recognizes restaurants whose wine lists feature a well-chosen assortment of quality producers. Best of Award of Excellence recipients offer more extensive selections with significant vintage depth and excellent breadth across multiple regions. The Grand Award is the program’s highest honor. This elite group comprises the world’s best wine programs, which deliver serious breadth of top producers, outstanding depth in mature vantages, excellent harmony with the menu and superior presentation. Wine Spectator carefully assesses each Grand Award candidate, including rigorous independent, on-site inspections of the wine program, cellar, service, ambiance and cuisine of the restaurant. The full list of award winners is available in print in Wine Spectator’s August issue, on newsstands July 17. This entry was posted in Wine and tagged 360 Magazine, Ai Fiori, alcohol, Atrin Yazdani-Biuki, award, Barolo Grill, Beloeil, California, Canada, cellar, company, contemporary culture, cuisine, Denver, dining, drink, food, Grand Award candidate, hashtag, Inc., INSTAGRAM, Le Coureur Des Bois, luxury, M. Shanken Communications, Madera, Magazine, Market Watch, Marvin R. Shanken, Menlo Park, menu, Metropolitan Grill, new york city, pop culture, Pretoria, Quebec, relaxing, restaurant, Restaurant Awards, Restaurant Mosaic, restaurants, Seattle, service, Shanken’s Impact Newsletter, Sistina, south africa, The Award of Excellence, Twitter, Vaughn Lowery, vineyard, wine, wine program, wine spectator, Wine Spectator magazine, WSRestaurantAward, Cigar Aficionado, Shanken News Daily, Whisky Advocate on July 10, 2018 by wp360mag.